Heavy Weight 16 Gauge Double Bowl Hand Hammered Copper Kitchen Sink 60/40 offset, Undermount or Drop in. 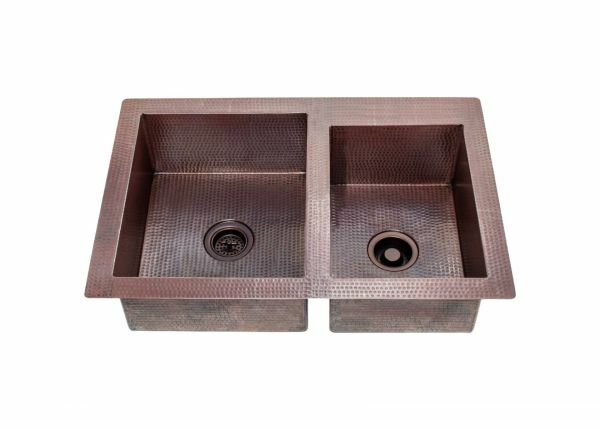 This beautiful hand-hammered work of artisan craftsmanship with radius corners and edges, will provide years of functional service and beauty in your home. 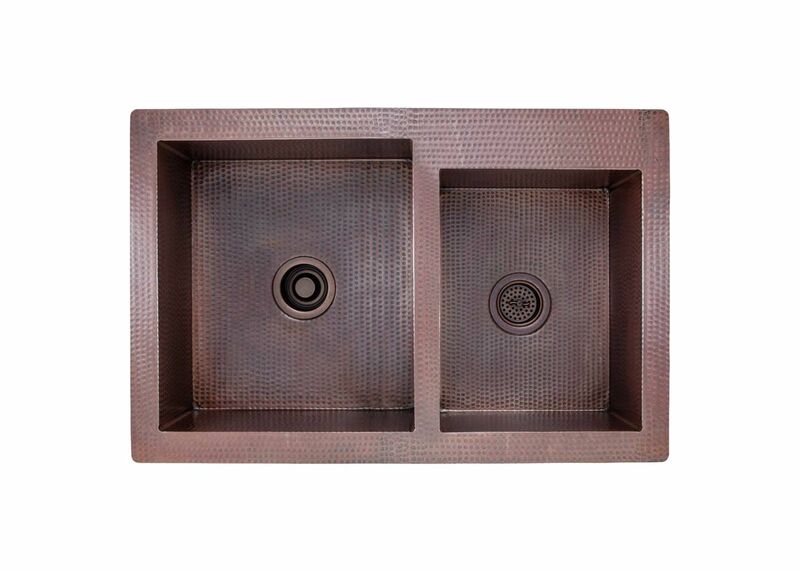 This sink is NOT an Apron Front Sink, it can be undermounted or dropped in, and the bottom has an X pattern that helps facilitate the draining process. CK-6040 features the double bowl 60/40 offset, with the bigger bowl on the left. CK-4060 with 40/60 offset, with the bigger bowl on the right is also avaialbe upon request. Please contact us for more information. 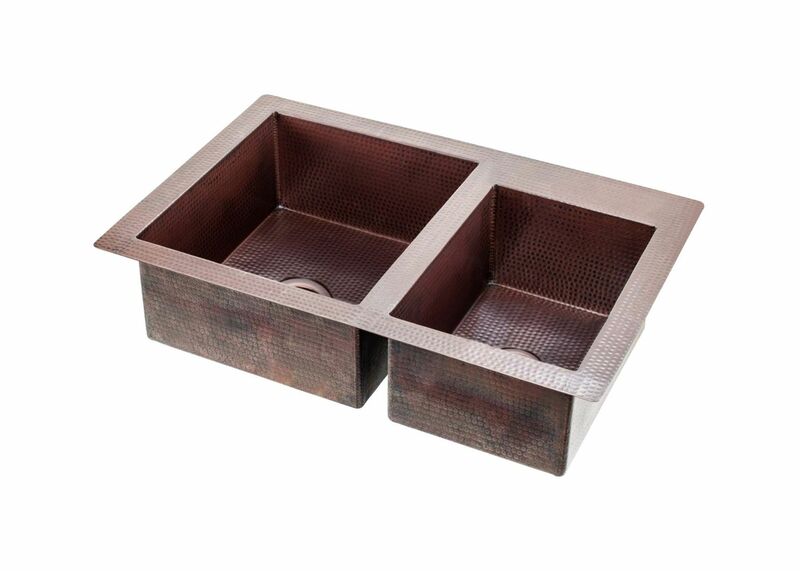 Large Bowl (Left): 16.5" x 18" x 9"
Small Bowl (Right): 10.5" x 16" x 7"